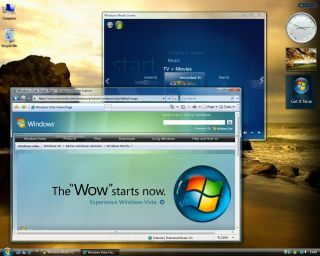 According to a major security expert, hackers are "hammering away" trying to crack Windows Vista 's security features. The claim was made by Jeff Moss, organiser of hacking convention Defcon in an interview with Reuters. "For sure, people are hammering away on it," said Moss. "If you are a bad guy and you find a problem, you have a way to spread your malware and spyware." At Tuesday's UK launch, Bill Gates called it the "most secure" Windows ever. Of course, it's nothing new that Windows' popularity breeds contempt. Hackers must have seen Vista's public Beta and Release Candidate (RC) programmes as giving them a head start, especially as it wasn't just IT professionals who got the code this time. Microsoft will be watching progress very closely - how easily vulnerabilities are exposed in Vista could dictate whether Microsoft does an open Beta programme again. Vista comes with Windows Defender, the built-in anti-spyware utility, plus the Windows Firewall. There's also advanced protection for the Windows kernel called PatchGuard. User Account Controls are also designed to prevent unauthorised applications accessing your system, but it requires regular user intervention whenever you install a new application or change a major system setting.